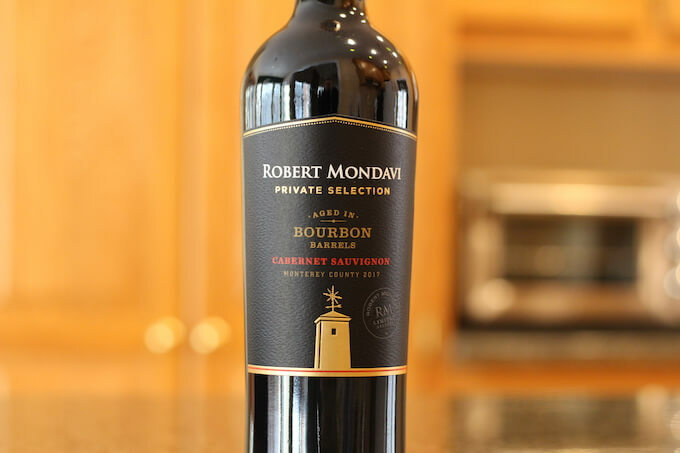 Robert Mondavi Private Selection “Aged in Bourbon Barrels” Cabernet Sauvignon is a limited release from Robert Mondavi wines in Acampo, California, USA. To keep this simple, let’s just call it Robert Mondavi Bourbon Cabernet. 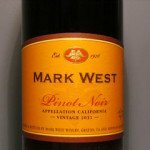 The fruit for this wine was sourced from Monterey County coastal vineyards in California. 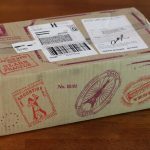 They go on to say that the used barrels come from a renowned Kentucky distillery. Aging in the barrels occurred for at least three months, per the bottle. 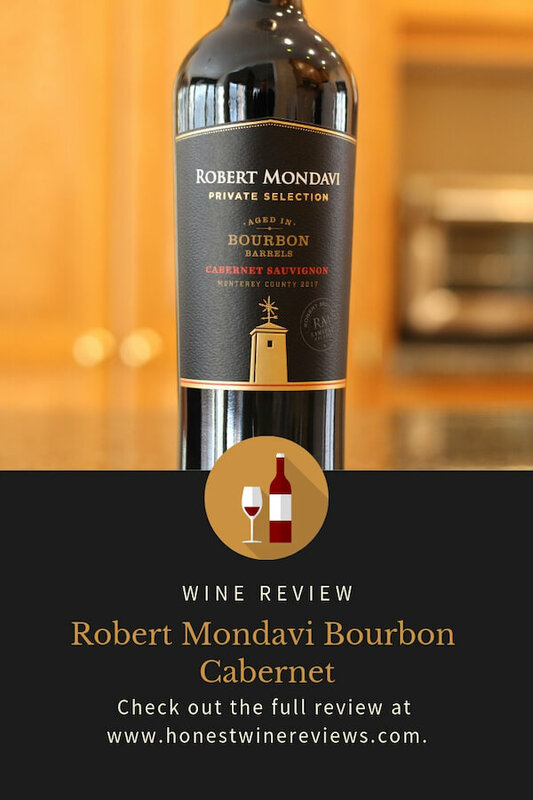 For this review, I tasted the 2017 vintage of Robert Mondavi Bourbon Cabernet. 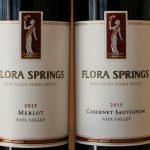 This limited release Cabernet Sauvignon blends the craftsmanship of California winemaking with the Southern tradition of Bourbon Whiskey aging. 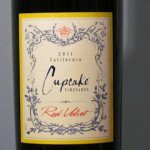 When I opened the bottle, I noticed that there was very little wine absorption into the cork. 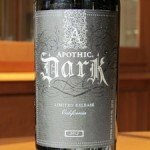 In appearance, this wine is very dark plum in color with little light being able to shine through. Its legs took a long time to form. When they did they were very slow to fall in the glass. I noticed no initial whiff of bourbon upon first sniff. And then beyond that, I struggled to find any a particular element in the aroma that stood out. After re-splashing some wine into the glass, I did manage to pick up a bit of almond. “Graham cracker” was mentioned in the tasting notes, but to me it was almond that I noticed. I got a tiny bit of a sting of alcohol in the nose. Robert Mondavi Bourbon Cabernet alcohol content 14.5% by volume, per the bottle. I should note that I guessed this number exactly! Not from the aroma, but from the taste and finish, which you’ll read more about below. As they say in their tasting notes, sip slowly! This is where I started to realize I didn’t like this wine very much. The taste had a bit of tartness to it, with some red fruits noticed. Maybe some cranberry. What really came through, though, was the bourbon. To me it was a bit much and it really established itself in the back of my throat. The wine had a very dry, mineral like, mouthfeel. Tannins were quite grippy and really settled into the nooks and crannies of your mouth. I found the finish to be long lasting, with a push-pull between the bourbon flavor and the tannins. I also noticed a bit of what I call “green-ness” to the finish. I usually note this when I feel a wine is a bit too young for my taste. Honestly, I didn’t like the finish. It leaves you dry as a bone once the flavors dissipate. Click or tap on the picture below to save it to your Pinterest board! I can’t say I enjoyed this wine. What was missing was some mocha or black cherry to offset the bourbon. Plus, the young finish just lingered on my palate and I couldn’t stop noticing it. The bottle says the bourbon barrel aging adds nuances of vanilla, brown sugar and toasty oak, but I thought it just added nuances of whiskey. One thing I’ll say, though… Let this wine decant for awhile before drinking. Some of the whiskey notes do go away and you can taste the Cabernet in there when the wine initially hits your palate. That part’s not bad! I also swirled the heck out of the glass and I think that helped too! 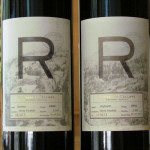 Robert Mondavi Bourbon Cabernet price paid $13.99. I bought this at my local shop but you can probably find it for less at bigger retailers. Go with a strong cheese or a hearty steak. Maybe even a juicy ribeye covered in blue cheese crumbles. I think that would help to mute the whisky flavor a bit and bring out more of the Cabernet. 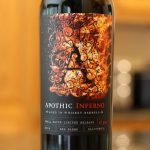 Have you tried this wine? What do you think? Frankly, it sounds like crap. Maybe it is supposed to appeal to cigar smokers that have shot taste buds. Why would you introduce an additional flavor other than oak to a wine.